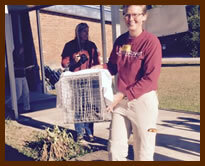 SGI Cat Allies is committed to humanely helping the community cats on St. George Island live in harmony and health with all residents of the community. 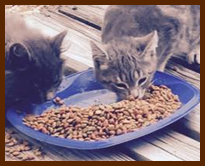 We need food, donations for neuter/spay/vaccinate programs and community caretakers. We are a registered public 501 (c) (3) non-profit organization. Please help us. Hotdogs! Hotdogs!- Hotdogs! Hotdogs! Get your fresh hot Nathan’s hot dogs, today at Bowery Station, noon-6 pm. Matt and Lisa, true animal friends, are donating the hot dog sales proceeds to SGI Cat Allies, Inc.! Thank you Matt and Lisa Gardi! We need donations for neutering, spaying, vaccinations and food. We also need cat community caretakers. We are a registered public 501 (c) (3) non-profit organization. Please help us. SGI Cat Allies, Inc is a registered 501 (c) (3) non-profit organization. Contributions to SGI Cat Allies are tax-deductible to the extent permitted by law.